Never really been very good at triathlons. To give a bit of a background to this statement, my Ironman time hovers around 13hr 30mins. Not great at all. And many would ask why the stupidity of taking on this challenge? Yet I like endurance. 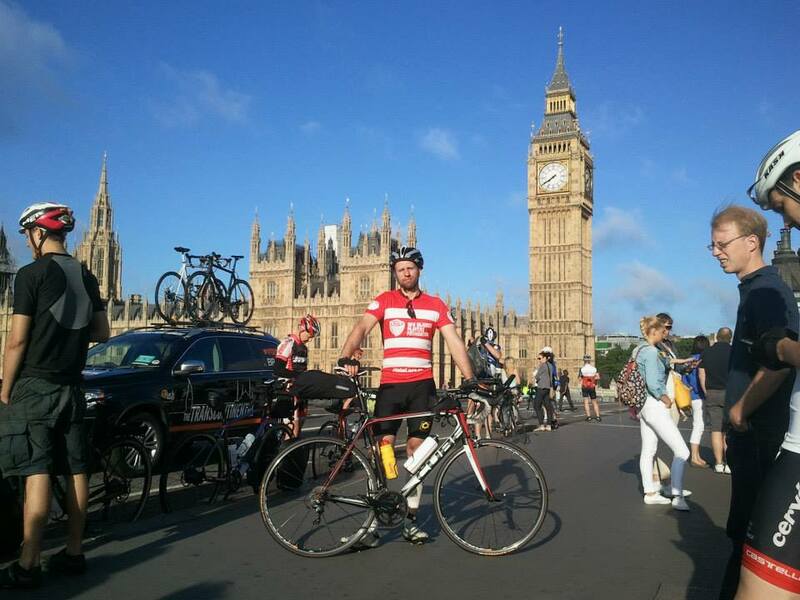 I felt stronger in many ways as the Transcontinental Bike Race from London to Istanbul – solo, unsupported – continued to weave through Europe. And anyway we all need a challenge. Perhaps some focus training is all I need? Certainly the training I have been doing at Athlete Lab has allowed me to get a better understanding of ‘good’ stats & real training progress. On the bike I could pull out a decent 112mile Iron distance leg – perhaps 5hr 15min based on my pace in stretches of Ironman Nice & didn’t do too bad with a top amateur from the Phuket Triathlon before Christmas. On the feet, my half marathon could certainly touch on 1hr 25mins. However my swim….well my mum could beat me. And the reason for the 13hr 30min time, well…..I simply implode, usually after pushing too hard on the bike after my 1hr 40min swim. 3rd time lucky? So this is where I start. Not too good, not too bad. Obviously I have immense difficulty pulling the three disciplines together and if I could get out of the Ironman swim without throwing up – well thats a bonus! 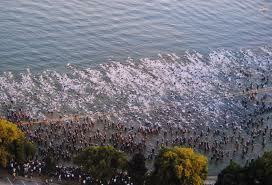 On the plus side, I don’t think this many people will be doing the Deca Ironman! So how can we get through a Deca Ironman or even pull out a decent Ironman triathlon for that matter? And of course there is many other ways to train for the event as I will touch on in the coming weeks. For multi-distance Ironman triathlons, the training has to be a little different. Yes more intense but also structured so your body can learn how to recover & pick itself up the next day. If anyone has done an Ironman you often feel like you have the flu for a few days after because of the strain on your body. 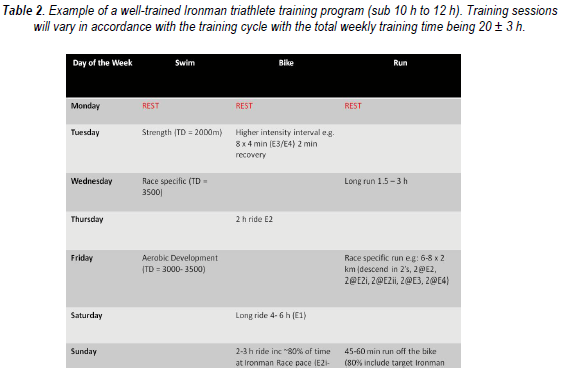 From online sources one of the most viewed schedules is the 35 week training plan provided by http://www.professionaltriathloncoach.com. 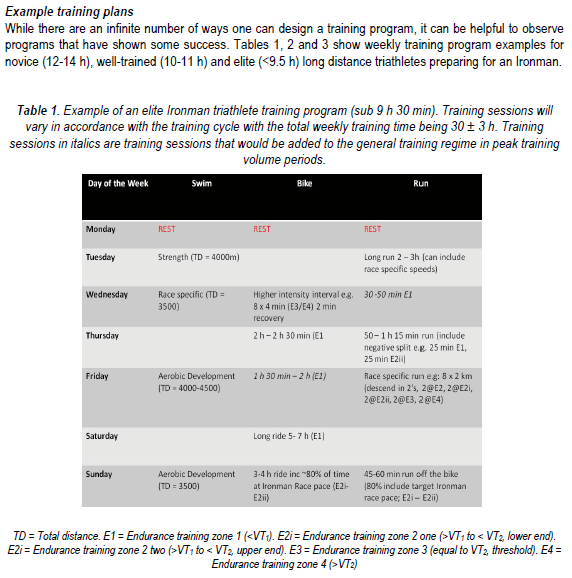 The programme below is for a Triple-Ironman-Distance event, in which the workout intensity & duration peaks at 32 weeks – with several recovery/low tempo weeks in the build up – before tapering before the race date. So this was pretty much my understanding of training for a Deca Ironman in late 2013, but then I meet Dr Kua Harn Wei – Singapore’s first Double-Ironman, Quadruple-Ironman and Deca-Ironman, as well as qualifier for Kona in 1997. Additionally as I found out later he had also done a World Tour of multiple distance Ironman events and had been asked by some of the best endurance athletes out there to coach them through events. Some websites even have ranked him within the top-5 ultra-endurance triathletes in the world, including the highest-ranked in Asia. So a bit of guru in the event. I was understandably humbled that he had taken the time to meet me. And so I posed many questions – very patient he was – and we ran through some basic ‘themes’ in preparation over a cup of coffee. In addition to been told to focus on my swimming and look towards being tortured by the local swim clubs, he pointed out race preparation that went further than simply training, for example the use of a very angry,tough,possibly an endurance female athlete that can bully/encourage you when you just don’t want to do it anymore! Indeed having experienced endurance athletes with me as support crew was a key element of his advice. In building up a baseline fitness for the event, he informed me that I would have to look at 10 day stretches in the distance required in each distance – i.e. marathon everyday for 10 days. Fortunately for me my cycling is pretty good so the idea of 112 miles each day for 10 days wasn’t that frightening. Unfortunately for me the idea of 3.6km everyday for 10days is! (A bit of working needed for that swimming no doubt!). But that is how you do these events and as I will blog about in the coming weeks, it is an intensity & dedication which will require the up most focus. Presently I couldn’t commit to a formal coaching schedule with him – I may live to regret that – but our brief meeting certainly gave me a volatile mixture of excitement & fear! 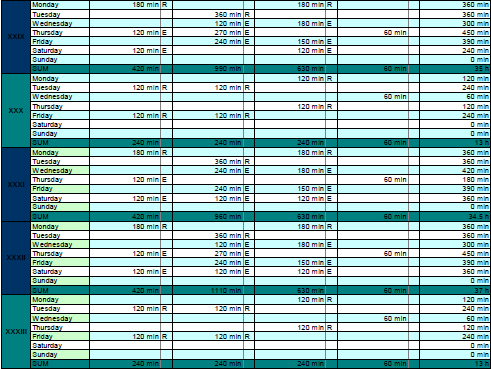 Interestingly I later read online that Harn Wei had done massive, fortnight preparation session a few weeks out from these endurance events, averaging at least 43 hours of training per week (done at competition pace, which amazingly is not as fast as a standard Ironman triathlon). This training would also feature several nights of sleep deprivation training and just to get your body functioning at the extremes a little bit of fuel deprivation – toughens you up that does! These sessions would have certainly allowed Harn Wei to figure out the format of his strategy – pace on the swim, bike and run, the work-to-rest ratios, the lengths of the main and secondary breaks, and his state of the mind during these rest periods. Really just a bit of applied sport science then! And so as I build my program & work around my own work/social calendar this was some of the sound advice that I reached 6 months out from the event.